Got here a little late for CEO Jim Heppelman’s keynote, so here goes! Unique perspective: AR takes digital back to the physical. Can understand & make better decisions. Virtual reality would allow much of the same. Add in 3-D printing, etc. “IoT is PLM.” Says PTC might be only company prepared to do both. Says their logo captures the merger of digital and physical. Case studies: they partnered with Bosch’s Rexroth division. Cytropac built-in IoT connectivity– used Creo. Full life-cycle management. Can identify patterns of usage, etc. Using PTC’s analytics capacity, machine learning analysis. Want to improve cooling efficiency (it was high at first). Model-based digital twin to monitor product in field, then design an upgrade. How can they increase cooling efficiency 30%?? Came up with new design to optimize water channel that they will build in using 3-D printing. Cool (literally!). 43% increase in cooling efficiency. The design change results in new recommendation engine that helps in sales. Replaced operating manual with 3-D that anyone can understand. (BTW: very cool stagecraft: Heppelmann walks around stage interviewing the Rexroth design team at their workstations). Ooh: getting citizen developers involved!!! Speeds process, flexibility. App shows how products are actually operating in the field. Lets sales be much more proactive in field. Reinventing CRM. May no longer need a physical showroom — just put on the AR headset. Connectivity between all assets. The digital twin is identical, not fraternal. Brings AR into factory. They can merge new manufacturing equipment with legacy ones that didn’t have connectivity. ABB has cloud-based retrofit sensors. Thingworx can connect almost anything, makes Industry 4.0 possible. Amazing demo of a simulated 3-D disassembly and replacement. Hmmm — closing graphic of his preso is a constantly rotating circular one. Anticipating my “circular company” talk on Wednesday???? former engineer. In charge of Weatherford’s Windchill installation (they also use Creo). their mantra: design anywhere, build anywhere. enterprise change — not just engineering. GCE made radical change from their traditional business in gas control devices. Zen-O is in the consumer markets. They were very interested in connected products — especially since their key competitor launched one! Goals: predictive maintenance, improved patient care, asset management, development insight. Design process very collaborative, with many partners. they design and manufacture electrical distribution equipment, 30 factories worldwide. started in 2014: they were still running really old CAD technology. 14 CAD repositories that didn’t talk to each other. 15 year old PLM software. No confidence in any of data they had. They began change with PLM — that’s where the digital thread begins. PLM is foundation for their transformation. PLM misunderstood: use it to map out cohesive, cross-functional, model-based strategy. Highlight relevance of “design anywhere — manufacture anywhere.” Make PLM master of your domain. Make it critical to commercial & manufacturing. Advertise benefits & value. Whole strategy based on CAD. Windchill heart of the process. Rate of implementation faster than business can keep up with! focused on becoming critical for supply chain. total shift from their paper-based legacy. integrated regulatory compliance with every step of design. Bayer — been in IoT (injection devices for medicine) for 7 years. Reduced a lot of parts inventory. Didn’t know! Skype can do real-time translation. Google Deep Mind team worked internally, cut energy costs at its server farms. 15% energy reduction. Digital progress makes economic pie bigger, BUT most people aren’t benefitting economicallly. Some may be worse off. “Great decoupling” — mushrooming economic gap. One reason is that tech affects different groups differently. “Entirely possible to create inclusive prosperity” through tech! 1st example & starting point for many cities, is smart lightpoles. Major savings plus value added. Real benefit is building on that, with systems of systems (water, traffic, energy, etc.) — the systems don’t operate in isolation. Future buildings may have built-in batteries to add to power supply. Water reclamation, etc. Cities are focused on KPIs across all target markets. Cornerstone systems for a city: power & grid, water/wastewater, building management, city services & infrastructure. deploy out-of-box IoT solutions from a ThingWorx Solution Provider: All examples, include Aquamatix, DEPsys (grid), Sensus, All Traffic, Smoove (bike sharing). 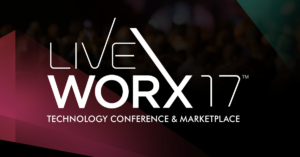 leverage ThingWorx to rapidly develop new IoT solutions. connect to any device, rapidly develop applications, visually model systems, quickly develop new apps. Augmented reality will play a role! one for your own operations, another for city. bring the platform to create a citywide platform. Sum of connected physical assets, communication networks, and smart city solutions. 3 types of systems: 1) foundational visualization solutions: KPIs, etc. 2) advanced analytical solutions 3) cyber-physical solutions. advanced planning (risk-adjusted MRP), dynamic sequencing, cross network. value chain integration: signal-based customer/supplies integration, dynamic distribution routing/tracking, digital twin. exponential tech: 3-D printing, drones, flexible robots. sensors getting simpler, easier to connect & retrofit. National Connectors particularly good. Global Smart Home, Smart Enterprise, and Smart Cities IoT Use Cases. Ken Herron, Unified InBox, Pte. H2M: human to machine communication is THE key to IoT success. Respect their interests. Austin TX: “robot whisperer” — industrial robot company. Their robots aging out, getting out of tune, etc. Predictive analytics anticipates problems. Stuttgart: connected cow — if one cow is getting sick, may spread to entire herd. Intervene. Kuala Lumpur: building bot — things such as paper towel dispensers communicating with management. London: Concierge chatbot — shopper browsing can chat with assistant on combining outfits. Dubai: smart camera. Help find your car in mega-shopping center: read license plates, message the camera, it gives you map to the car. Singapore: Shout — for natural disasters. Walks the person making the alert through process, confirms choices. Stuttgart: Feinstaubalarm — occasional very bad airborne dust at certain times. Tells people with lung problems options, such as taking mass transit. Fulda Germany: smart clothing for military & police: full record of personal health at the moment. Neat! Michelin delivery trucks totally reinvented, major fuel savings, other benefits. The IoT can be the platform for dramatic management change that was impossible in the past. Making this change requires an extraordinary shift in management thinking: from hierarchy to collaboration. The results will be worth the effort: not only more efficiency & precision, but also new creativity, revenue streams, & customer loyalty. In short, it will allow total transformation! Kickstarting America’s Digital Transformation. Aneesh Chopra & Nicholas Thompson! on day one, Our President (not the buffoon) told Chopra he wanted default to be switch from closed to open government & data. National Wireless Initiative: became law 1 yr. after it was introduced. Nationwide interoperable, secure wireless system. Obama wanted to harness power of Internet to grow the economy. Talked to CIO of P & G, who was focused on opening up the company to get ideas from outside. Thompson big on open data, but he thinks a lot more now is closed, we’re going wrong way. Interesting example of getting down cost of solar to $1 per installed watt!! Thompson: growing feeling that technology isn’t serving us economically. Chopra: need to democratize the benefits. Chopra talking about opening up Labor Dept. data to lead to creative job opportunities for underserved. smart home: people have hard time learning how to use current generation of smart home devices. Unacceptable delay in activation. we need “just live your life, and the house does the right thing.” Shouldn’t have to pull out phone. Will be aware of your location, act naturally. “Need metaphor of the room to exist” — and robot will do that. Cool: Future iRobot could do that while doing its own job. New generation of iRobot has mapped 1/2 billion sq. feet in less than a year. Would be a lot cooler if you can just buy a smart bulb, screw it in, and it would just work without having to do anything. Pogue: how do you deal with the criticism that iRobot LOOKS as if it is cleaning randomly? Angle: Customers just cared that it actually did the job. “Just make it clean better” — I don’t care how long it takes, because I’m not there. Next generation of robotics will be manipulation. significant change, affecting both demand and supply. No industry unaffected. to remain competitive, countries and companies will have to be at edge of innovation. Faster than ever. 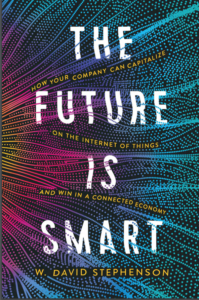 1st report: industrial internet of things & how it would transform industries. Adoption accelerating. 3-4 yrs. from now, major structural changes, massively transformative (but you can begin w/ incremental change). only 7% of 500 companies surveyed said they had comprehensive IoT strategy. illustrations: water distribution network, dramatic time savings in time to install plane seats. where’s the value? integrate smart products and back-office systems for IoT and As-a-Service Enabled approach. Moving to multi-dimensional definition of a product. a Euro telecoms company: using a Google Glass-style product for field technicians at job sites and to capture data in field. 20-40% productivity gains. pay-per-use vehicle services: a French tire company that wants to create 1 b Euro biz in “mobility.” — from selling tires to selling outcomes! Money-back guarantee. 2.5 liters reduction in gas use for 100 km driven — huge reduction in trucking companies. connected homes: working with multiple clients to define what the services will be. Scope and scale of changes acute. Recent survey: 42% of companies have said improvement has been in how they interact with customers. still focus on the what, but also the how! Drive Pivotal Leaders: find right leaders. ALS patients: helping them regain control of their lives through wearables, displays, etc. done with Phillips. industrial equipment manufacturer: breaking silos. Innovation digital factory: to instill connectivity into the biz, and build outcome-based offers, and increasing level of engagement with customers. Porter: IoT is wrong term: real emphasis is change in products and what they can do. Embedding in service companies. Every service business will be affected. Heppelmann: the IoT also affects how the customer operates the product. Angle: iRobot has jumped into IoT with both feet. Touches every aspect of their biz. Heppelmann: missed the human element in this. That led to their AR initiative, so people could relate to the new products in ways that are both physical and digital. Angle: iRoomba sending data back in real time on how it’s being used. No more focus groups! Robot part of design team. Heppelmann: fundamentally different design process now. Porter: who collects, who decides how to use the data? New chief data officer position. Angle: who is best to handle the data? Idea of chief data officer interesting. Product ID a new competency. Porter: starting to see new organizational structures pop up. Becoming possible to sell almost anything as a service. Heppelmann: “devops” — combine development & operations. Chief Data Officer — whose job is it to decide what the data is telling various departments? Porter: can’t have handoffs between each group, because you need continuing dialogue. 1st up is Jim Heppelmann, PTC CEO and co-author w/ Michael Porter of the great 2-part HBR series on IoT strategy & tactics. But 1st, few words from David Pogue, the great consumer tech writer: imagine his surprise when he sees his kids at home in CT have cranked the Nest 2 66 degrees. So he turns it up, LOL. example of rapid change: Augmented Reality & Virtuality combined with IoT: Terri Lewis, director of solutions & tech at Caterpiller — XQ Gen Set — rental power for job sites & sport events — “asset utilization” big deal for rentals & for the customers — can operate from a remote device (iPad in this case). PTC’s new product is Vuforia Studio Enterprise — “democratizing AR.” When used as a sales tool, lets customer look inside the product, vs. a static brochure. humans prefer to use sight and sound simultaneously: he & Porter are working on another article on adding AR to business setting. analytics: analytics is the new refinery for data, which is the new oil. Announcing Thingworx Analytics. Example: Flowserve, an industrial products company.World’s largest flow control company. Helps to do real-time management of the device. It now takes only 1 repair trip to fix assembly rather than 3 before, because they know the actual problem at beginning. Do real-time simulations to see if it was solved. Augmented Reality allows the person right at the pump, to see what is actually happening — that wasn’t possible before. Radically reduces time & money necessary to get it back online — reducing what was a $2 billion loss in 2015 alone. New announcement: HPE industrial, hardened server to run such a system. Engineering products: working with a group of local STEM kids in a robotics competition, FIRST Robotics. Use AR as part of the design review process, using Google Cardboard & Agile Engineering process. Team demo’s it. He thinks they are THE company for digital/physical convergence. can create compelling AR in a few minutes! Woo! can actually put the digital info on the physical product itself. Creo Illustrate for tech illustrators: step-by-step illustrations (wow, would that be great for product assembly and repair uses!). Intuitive interface, drag-n-drop. Wow! Mass. IoT market really heating up, as PTC grows again! One of my roles is as founder and co-chair of the Boston/New England IoT Meetup, so I’m always eager to report positive news about IoT news here in the Hub of the Universe. Big news today: Needham’s PTC is growing again (after its recent $130 million purchase of ThingWorx), buying Foxboro’s Axceda for $170 million, giving them a good base in both IoT platforms and devices. Both of these purchases are dwarfed by the $3.2 billion Google paid for Nest, but they do show that the industry is growing, and that PTC is suddenly emerging as a Player To Be Reckoned With. Wonder what their strategic plan is?